3, 2, 1... blast-off for intergalactic fun! 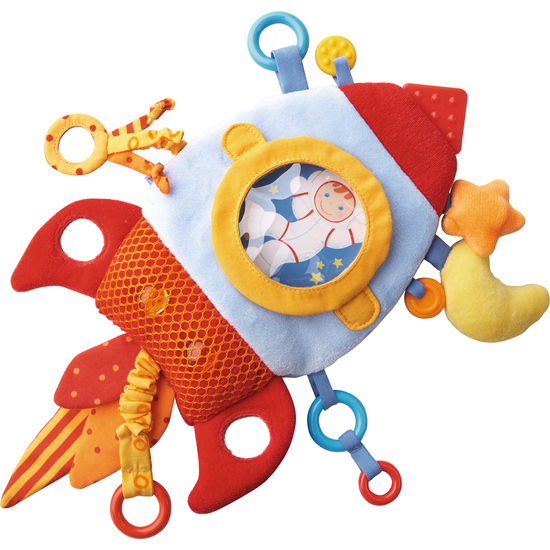 Little astronauts will take off on riveting discovery missions, exploring a rattle, a squeaker, mirror foil and an intriguing haptic net. And then there’s the rocket door that opens, a removable play figure and all the teething components that will simply thrill the little ones!